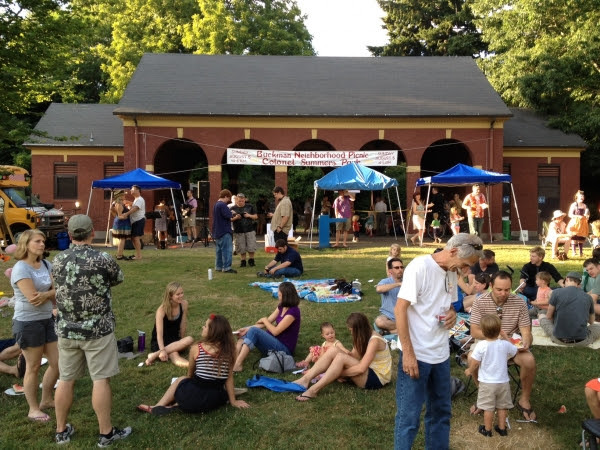 The Buckman Community Association needs your help to make its 2015 annual picnic a success. The event is scheduled for Sunday August 9th from 4pm to 8pm at Colonel Summers park and will feature live music, a bounce house, free hot dogs and cold drinks, kids activities, and more. This community event is 100% volunteer run and supported by the generous contributions of neighbors and local business partners. The sixth annual picnic promises to be a great event, but needs your assistance. The BCA is seeking volunteers to work 2-hour shifts during the picnic, Sunday, August 9, 4–8 pm, Sign up to work in one of three areas: set-up, food service, and clean-up. Volunteers are also need to help organize and monitor kids activities. By volunteering, you’ll have an opportunity to meet neighbors, have fun, and contribute to the Buckman community by donating your time to a worthy cause. Please email buckmanpicnicteam@googlegroups.com if you are interested in helping out for a couple of hours on the 9th. If you have a preference, please indicate a preferred duty (set-up, food service, clean-up, kids activities). Please also join us for a Pre-Picnic Clean Up the Park on Saturday, August 8, 9–11 am. Bring gloves. Tools and rakes will be provided by Parks. No sign-up necessary, just drop by Colonel Summers Park. Businesses and neighbors, sponsor the picnic by making a cash or in-kind donation. Checks should be made by SEUL (SE Uplift) and please include “Buckman Picnic” in the memo line. Mail to: SE Uplift, 3534 SE Main Street, Portland, OR 97214. Donations are tax deductible. All donors are recognized on the day of the event from the stage, on a large banner and in the next issue of the Buckman Voice, delivered to 4,300 homes and businesses. The next Picnic Team meeting is Monday, July 20, 7pm at the Lucky Lab Brew House at 915 SE Hawthorne, and further gatherings will be announced on our Facebook page (Buckman Community Association group). All are welcome to come join the team and help plan all the fun! The Alfred Webb properties consist of four identical Queen Anne era inspired cottages built by Alfred Webb in 1891. 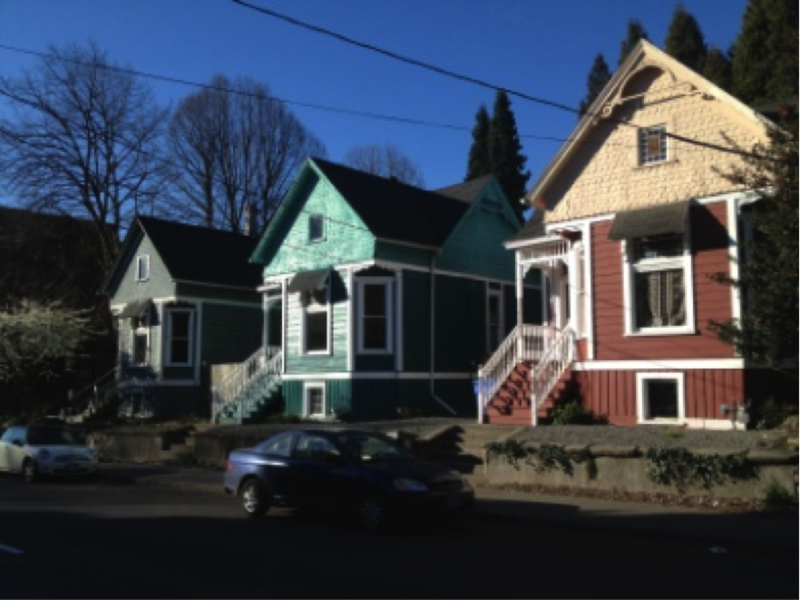 The ensemble of four homes is a Landmark on the National Register of Historic places located at the corner of SE 15th and Belmont St., and you are invited for a viewing hosted by the owner on Sunday, August 16th from 1–4pm. The event will be family friendly, feature light refreshments and a tours every 20 minutes. The interior of one house will be available for viewing. The 15th Street gate – between 822 SE 15th and 1503 SE Belmont – will be open for visitors to walk in and meet in the back courtyard. Come support the current owner’s initiative to preserve and rehabilitate the properties by joining for the festivities and learning more one of the Historic treasures of the Buckman neighborhood! Is there a Furball in Your Future? 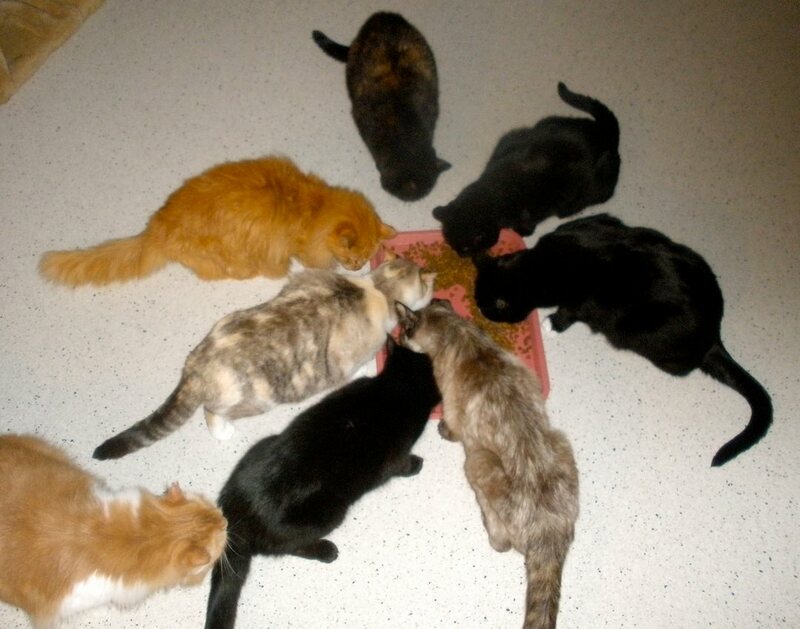 House of Dreams Cat Shelter is a long-standing, local 501(c)3 non-profit. Our mission is to provide shelter and care for abandoned and homeless cats, with the goal of finding them permanent homes or providing them a lifetime home in our facility. 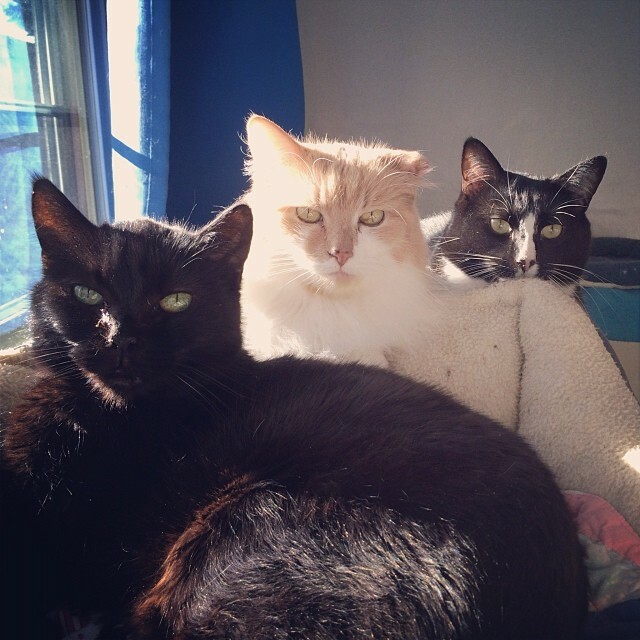 We are a free-roam, no-kill, all-volunteer cat shelter located in NE Portland. We are one of the only area shelters with facilities for Feline Leukemia Positive kitties and have been helping kitties and reducing our region’s euthanasia rate since 1999. We have many wonderful kitties of all ages, sizes and colors looking for long-term, indoor, caring homes. Please contact us today to tour our residential free-roam shelter and meet your furry soulmate. There are many ways to help: from cleaning the shelter or socializing with the cats to crafting for one of our fundraisers or donating professional services. We have over 85 active volunteers of all ages and interests. Adopt a senior kitty (8+ years) for only $25 – a $40 savings. Adopt a Feline Leukemia Positive kitty, any age, for only $25 – a $40 savings. Through our Seniors for Seniors Program a senior (65+ years) can adopt a senior kitty (8+ years) for no cost. All other kitties are $65 to adopt. Fee includes all vaccines, spay/neuter and home delivery within the Portland area. See great photos on Facebook, Instagram and YouTube! HoD is a network partner of the Best Friends Animal Society and Guidestar Participant – Silver Level. In late May, residents in the inner Buckman area voted to begin a new Area Parking Permit Program (APPP) named Zone S. Fifty-eight residents were notified and 37 returned ballots, of those 30 voted in favor of the new zone. This summer the signs will be posted for a 2-hour visitor limit from 7 am to 6 pm Monday–Friday and a 90-minute visitor limit from 6 pm–midnight all nights. Residents who enroll in the program will pay $60 annually for each vehicle. Residents may purchase extra permits for frequent guests or purchase one-day scratch-off cards (a book of 10 for $10). No one has to purchase permits. The Inner Buckman Parking Committee will wait until the new rules go into effect before deciding to add more block faces to the list below. Inner Buckman has become a popular area to Park ‘n Ride and the impact of the businesses and events at Washington High School has added to the parking challenge. You are currently browsing the Buckman Voice blog archives for July, 2015.